The Games on Demand version supports English, French, Italian, German, Spanish, Japanese. Download the manual for this game by locating the game on http://marketplace.xbox.com and selecting “See Game Manual". The game that defined the survival-horror genre is back! Check out the remastered HD version of Resident Evil. 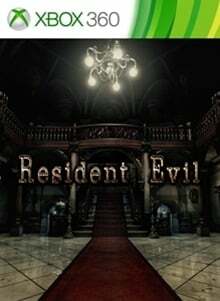 In 1998 a special forces team is sent to investigate some bizarre murders on the outskirts of Raccoon City. Upon arriving they are attacked by a pack of blood-thirsty dogs and are forced to take cover in a nearby mansion. But the scent of death hangs heavy in the air. Supplies are scarce as they struggle to stay alive.